The stylish interior of this 2 bedroom, 3 bath was selected and designed by the renown interior designer, Philpotts and Associates. 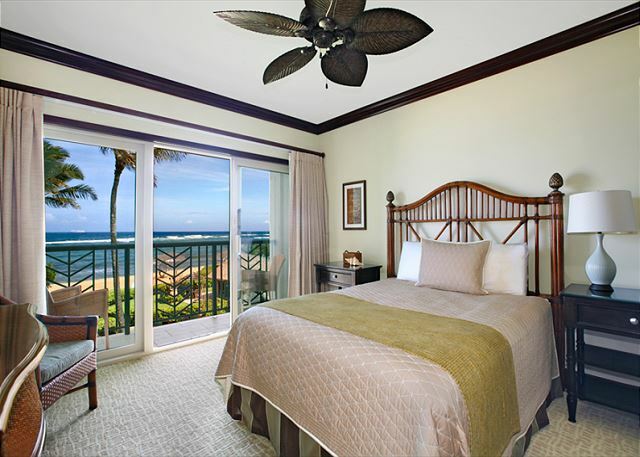 With stunning ocean views from every room, A304 is perfect for those seeking luxury and privacy. Great location, beautiful views. Property was spacious and nicely appointed. We would stay there again. You could not stay at nicer place. We enjoyed the comfort, the hospitality and the quality. I hope to stay there again. The management was very responsive. The view and sound of the ocean can not be surpassed. 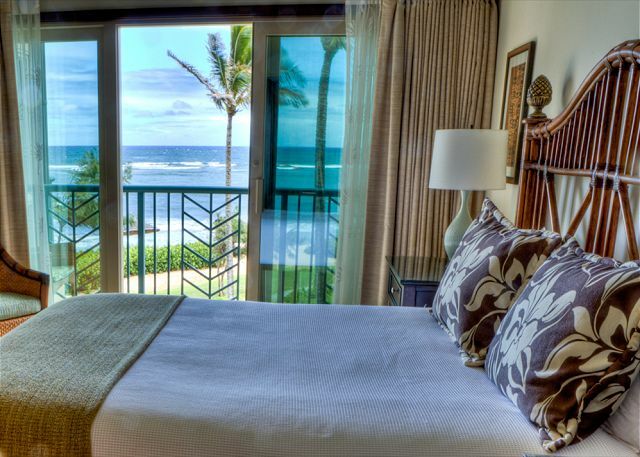 If you want quality, comfort and the natural beauty of Kauai, you need not look any further. The central location made our visit a very convenient stay. We’ve visited Kauai many times, and I cannot think of any place I would rather stay. WAIPOULI Resort #304 was the anchor of our kauai 5 day visit, it was all the comforts of home, the beauty of being right on the ocean, a fun pool for our 7 yr old grand daughter, the convenience of being across the street from shops, Starbucks and 24 hr Safeway. The AC was blessed on the hot days and all the necessary appointments in the unit for use. The furnishings are getting a little lived in and needs updating soon but mostly in good shape considering Oceanside conditions. Will recommend it to friends, will come again. Aloha. Great central location and beautiful property! Thank you for a great rental!! The view, every morning sunrise was spectacular!! Nice and relaxing, the pool was great and the slides were perfect for my nieces. The location was great, either direction was an easy drive to the north or south and grocery stores were within walking distance. I wasn’t a fan of the Oasis, but there were tons of other options super close. I definitely would recommend A304 if you enjoy relaxing with a drink morning, noon or night. Be careful of the towel gods at the pool though, they lost count a couple times, they need a better system. This was our first trip to Hawaii and our experience at this beach front property could not have been better. This place is gorgeous and the views are even better. We will be back! Our our concern is that the door did not close well, but that was not a major concern. Solid. Kitchen well appointed. Beds comfortable. Great ocean view. There were several items that need attention. Several screen doors torn, seal on one shower leaking and front door does not completely close unless pulled that could create a security issue. All minor stuff. We had stayed in A304 two years ago and loved it so much we booked it again this year. Same great views and same great location. The unit is always in pristine shape when we check in. Lots of amenities. We hope to book here again in another 2-3 years. We stayed for a week in this unit and loved it! 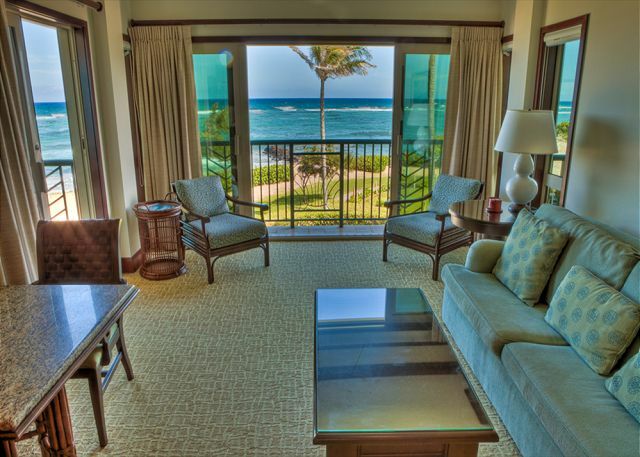 Superb views, great accommodations and the folks at Kauai Exclusive Management couldn't have been better to work with! The sunrises were gorgeous every morning. The kitchen was fully equipped. Comfortable beds. We never had the air conditioner on because the breeze kept the unit at a great temperature day and night. Our stay in this unit was perfect. We love this unit have stayed 3 years in a row and will be back! Great location,Safeway shopping right across the street,bike trails close, walking distance to longs drug and ABC store. The unit is stocked with spices and everything you need to eat in and the special touch of coffee for you upon arrival. We love the Oasis restaurant right in the complex. Spotlessly clean very helpful management. We had a wonderful experience at Waipouli Beach Resort! Beautiful location, view, and room! We'd definitely stay at this resort again. We enjoyed this condo because of the views! We loved sitting on the balcony with our coffee in the morning and enjoying the sunrise. Perfect location to see the sunrise and nothing is blocking your view from seeing the ocean and beautiful front beach areas. Very clean rooms and stylish design. Overall great. Beautiful view. Love how you could hear the ocean from this condo. I felt I was a little misled by being told there's a 2 mile path right there in front. No one mentioned that there's a small path on the oceanfront then you have to travel on the busy roadway for 1/4 to half mile to reconnect. Then the path continues on pavement with some cars and through a park of homeless. Wasn't very tranquil and didn't feel safe on main road with stroller. Also was told that baby beach would be good with the baby. It Was wavy and homeless people parked there. Not a place I'd go to even if I didn't have a baby. Beach around the corner was great for kids. Forgot the name.... something gate.... awesome for babies!!!! Pool here was nice. Direct oceanfront of the condo was the best! You could hear Waves crashing if you left your door open and view beautiful sunrises from your balcony. Recommend higher level. Recommend this condo for sure! Location... 3. I personally like princeville better! 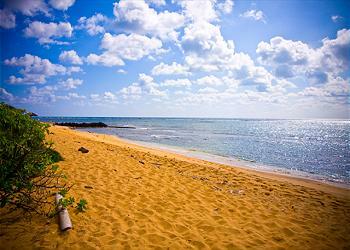 Beautiful beaches and tropical. but beware, lots of condos don't have AC in princeville. Ours did!!! Huge plus. My friend was staying in a condo in princeville and was sleeping in 90 degree temperatures. This little town where is nothing special. Not the nicer area of the island. 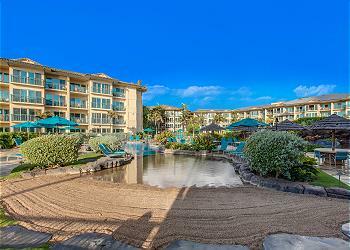 Our stay in A304 at Waipouli Beach Resort was fantastic. The condo was clean, comfortable and spacious. All appliances worked perfectly. The beds were comfortable. The water was hot and the air was cool. Will definitely stay there for all future trips! This is our third time at Waipouli Beach Resort. We have booked with Kauai Exclusive each time. Unit A304 was wonderful. It has a spectacular view from every room. Nicely furnished and spotless. 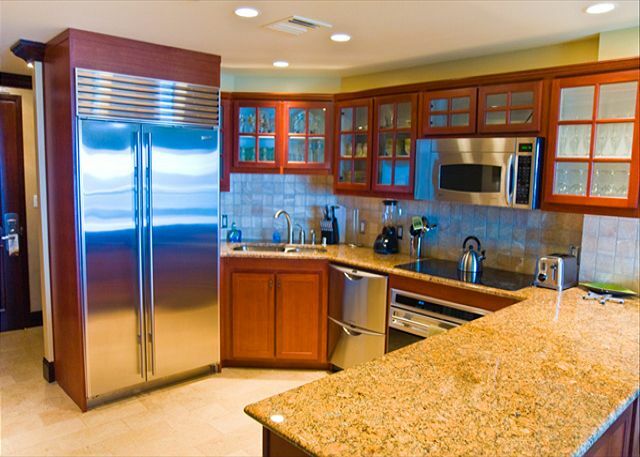 Kitchen is great with high end appliances and stocked with all the utensils you need to prepare and serve meals. Resort is beautiful. Nice lazy river style pool, beautiful beach; great on site restaurant and gym. The resort is centerally located. Walking distance to restaurants, grocery store and some shopping. We definitely would recommend this resort and unit. 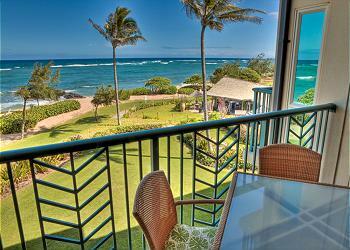 Booking through Kauai Exclusive property management is fantastic, Josh and Sean were professional and accommodating. Thank you. Amazing condo and Resort. 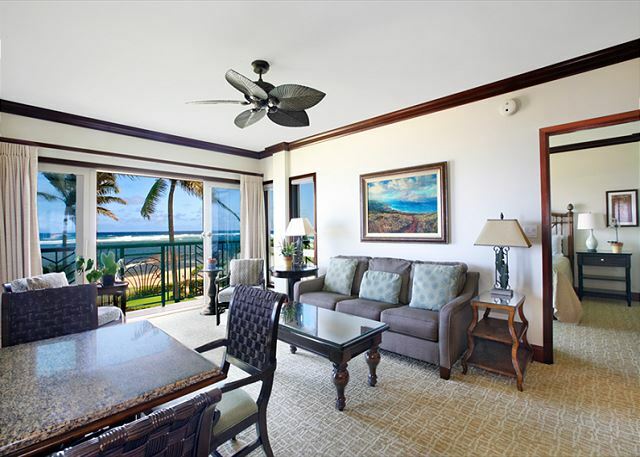 Condo is highly upgraded with picture perfect views of the beach. 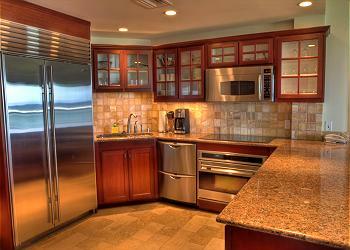 Property is clean and well-maintained by Kauai Exclusive management company. Convenient restaurant is on-site, great pool complex with lazy river feature. We stayed in the A304 unit, which is a great location in the resort, 2 master suites, full kitchen, nice living area, all rooms have ocean views. The password to enter the pool gates was a little bit much, but we managed. The smoke alarms went off in the building at 1:30 in the morning and again at 7am our first night there. We were not informed what caused the alarms to trigger, and fortunately that was the end of the problem. The resort is in a good location, Safeway shopping center across the street. The east shore is a good central location to head north or south from for day trips. The beach at the resort is very nice, and plenty of chaise lounges on the beach for relaxing. The pool has plenty of areas for guests, nice that there is kids pool area. There are great spots along the pools lazy river for privacy. There is a nice restaurant/bar on site. This was our first time staying in Waipouli Beach Resort. There were 5 of us and the oceanfront condo was perfect. The views from every room were spectacular. The unit was very clean and very well stocked. Great location with a grocery store across the streets and lots of restaurants within walking distance. The onsite restaurant, Oasis on the Beach, was great and the views could not be anymore breathtaking. The management staff was exceptional and Sonji, our concierge, booked a couple of excursions for us which went smoothly. We loved this place and will definitely be back. This was our fifth time staying at Waipouli Beach Resort. The property remains exceptional, unit was very nice and had a great view. The property management was exceptionally as always and very responsive and helpful. Would definitely stay at this property gain. Everything was so clean and well kept . The space was amazing the view was amazing the beds were so comfy ! 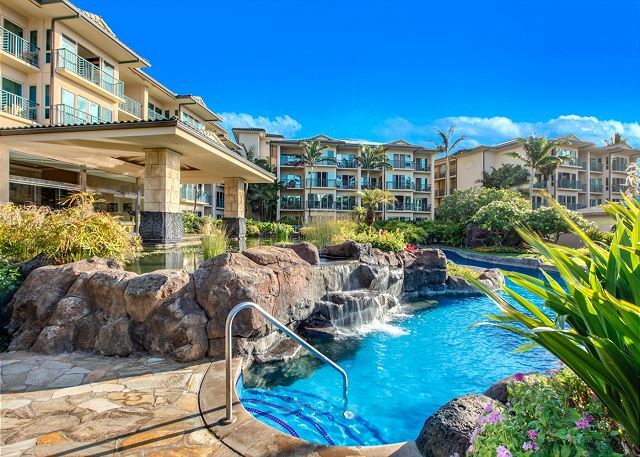 If you are looking for the perfect condo for a stay on Kauai, this is it! Perfectly situated by shopping and restaurants, and the view is beyond phenomenal. This condo has everything you need for a wonderful stay. This was our first stay, but we will definitely be back! Keypad on door made check in and check out super easy. Thank you so much for helping us have our dream vacation!! Josh was fabulous to work with from the beginning. There wa san electronic booking issue that allowed me to book a place and it didn't work out,but josh found us a unit and made it work. It was a lovely place and nicer than imagined switch easy access to the whole island. I would use them again and hope that I can! We are repeat vacationers on Kauai and this is by far the best resort and company to deal with. They are responsive and accommodating when you need them to be and unobtrusive and transparent when you want them to be. I would highly recommend them to everyone. The view was beautiful! 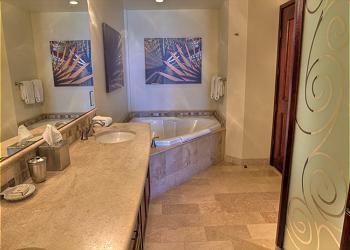 Loved having separate guest suites although the soaker tub in the king master room was pretty small for 2 people. The room was overall clean but did notice the grout lines in tile was pretty dirty. We appreciated having the cooler bag to bring down to the pool or beach. Property managers were very helpful to get us booked into a day room in same building for day of departure due to a late flight. We overall had a wonderful stay! Would recommend the tile be deep cleaned and the tub drain in master rectangle tub was still functional but cracked and could use a replacement. We would definitely come back if time and finances allow in near future. This was a 50th birthday vacation celebration. This suite was all as advertised. Clean, well stocked, and spacious for our needs. Good location with a market and restaurants near by. The view was spectacular with beautiful sunrises and the sound of the waves gently waking us. I ordered a basket and it was delivered as promised and we reserved a few tours thru the management company and all went well. The elevator wasn't working sporadically, but other than that it was a more than expected stay. We'll book here again. Excellent location and facility. Only thing I would recommend would be nicer pans. We cooked in the condo quite often and they were warped. We rented this unit 3 years ago and decided to come back. We were very surprised at how well stocked the unit was from 3 years ago. Tons of spices, foil, zip lock bags, Keurig coffee maker including pods. This unit is plush. My only suggestion would be to invest in a new shower head in the main bathroom. Desperately needed! Management staff was extremely helpful and available 24/7. Instructions sent via email ahead of trip was very helpful! Needed to use it to operate the stove. Thank you! In-your-face ocean view (you hear the waves all the time! ), high end kitchen and furnishings, comfy beds, good onsite restaurant with nightly happy hour, Safeway and Starbucks and other shops right across the street, and at least 2 dozen restaurants and Kapa'a downtown within walking distance. Would definitely stay again. Great base for exploring all that Kauai has to offer with better weather than north shore Kauai. Only suggestion: pool was a bit chilly! Wonderful property! We will go back time and time again. 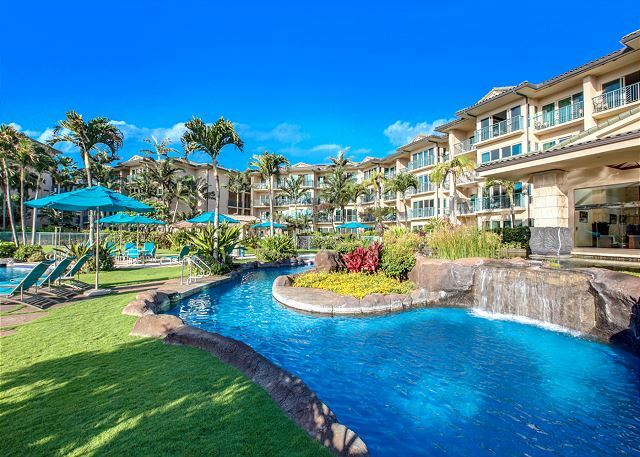 While nothing is perfect, we have stayed at this property twice because the units are so very nice, the location is central and all parts of the island are a fairly short drive away, and the crowds are subdued unlike in the Poipu and Princeville areas, which tend to feel overrun. Sure, the beach at this property could be better. It's kinda rocky and there's no good snorkeling right there, but you can drive to other beaches, spend the day, and come back to a lovely unit and view without too many people hogging up the scene. The pool and spas are nice and also not overrun. Management does a great job keeping the landscape and property clean and organized, and we’ve never had a bad experience with noisy or obnoxious neighbors here. My one suggestion is this. Somebody needs to write up a nice “where to eat near Kapaa” guide to keep in these units. I found Yelp and other online resources to be less than helpful when it comes to dining out on Kauai, and especially in the less traveled Kapaa area. A little concierge’s guidance in the form of a printed guide in the room would have been nice. 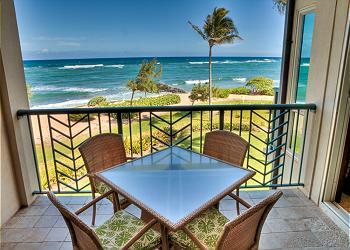 All in all, this is a winning choice for lodging on Kauai. 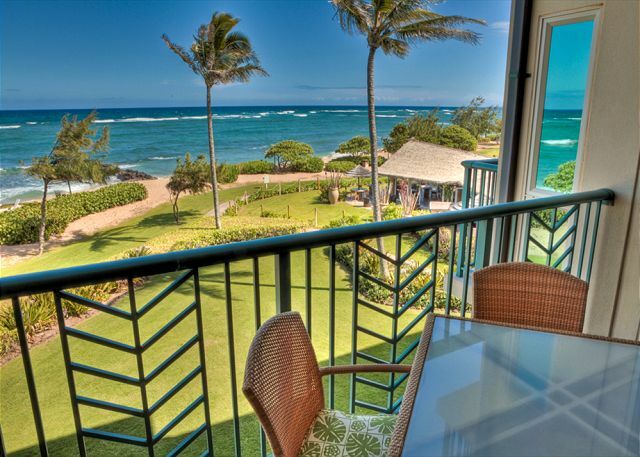 We rented a beautiful condo with an Ocean Front setting of the beautiful East Coast of Kauai. This was our 6th time to Waipouli Beach Resort and to Unit #A304. It was an awesome stay....too short! The Unit was in very good condition and clean. It is a very safe place to stay and close/central to all parts of the island. Had the opportunity to stay in this room for 4 nights! We whale watched the entire time! The day started with the most spectacular sunrises ever witnessed! We made coffee and sat out on the deck and pinched yourself because it was everything Hawaii memories should be! The rental was perfectly private for 2 couples! Each had their own suite. The kitchen was nicely arranged to have every breakfast on that deck. We also bought local food from a food truck and ate delicious meals on that deck! If you are planning a trip to Kauai this is the place to stay. Make sure you ask for this very room because you will not experience a better view! The rental experience was seamless. The concierge service was great and a huge help getting us scheduled for our preferred activity. Our only recommendation is to ensure the kitchen is stocked with appropriate pots and pans, as we found it difficult to cook properly on the Wolf cooktop with pans that were not flat due to warping. We loved it here. It was a great area to stay in that we could be on the North or South beaches within an hour. The resort and room were very nice and clean. The room was spacious and offered great views of the ocean. It was also nice to have chairs, coolers, and a few other beach items available to use. We loved the convenience of the restaurant on the resort and the food and drinks were good. Also right across the street from Safeway and a little dive bar that serves great fish tacos. We used the hot tub and pool a couple times and they were fine. Attractive, comfortable place, with everything one needs. Staff was very responsive to small issues that came up. Conveniently located. Paradise at it's BEST !! Can you say PERFECTION ?? This place is beyond awesome! We have stayed here multiple times and have never been disappointed. The pictures you view on line do NOT give this place justice !! It is just THAT beautiful !! You can see the ocean from every room, even the bathtubs ! It is always spotless inside and out ! 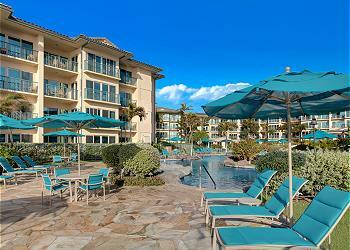 We always tell everyone, if you are going to Kauai, you must stay at the Waipouli Beach Resort A304 !! There is a shopping center directly across the street, which is so convenient. The restaurant on sight is Oasis. The food is very tasty and you can't beat the view anywhere!! You will love this place ! 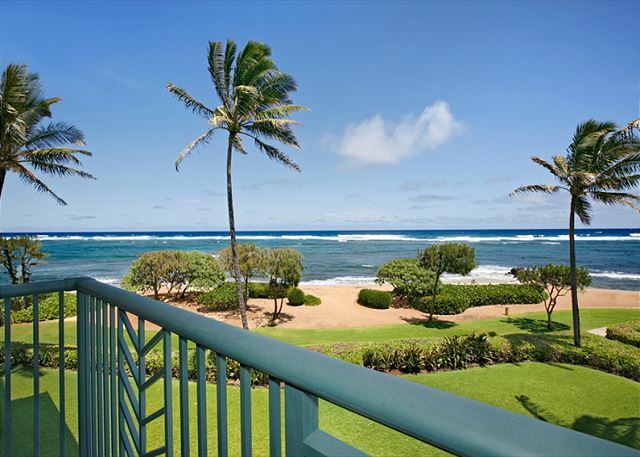 This unit is one of the best on the East Shore of Kauai. I would highly recommend it to anyone considering Kauai as a vacation spot. Wow! What an amazing unit. Ocean front, spacious, bright, clean, very nice. Own internet. Recommend all rental units include a separate recycle bin. The location, amenities, cleanliness, and helpfulness of the staff helped to make the perfect stay for our 30th wedding anniversary. We'll be back! Perfect place to stay for privacy and beauty! 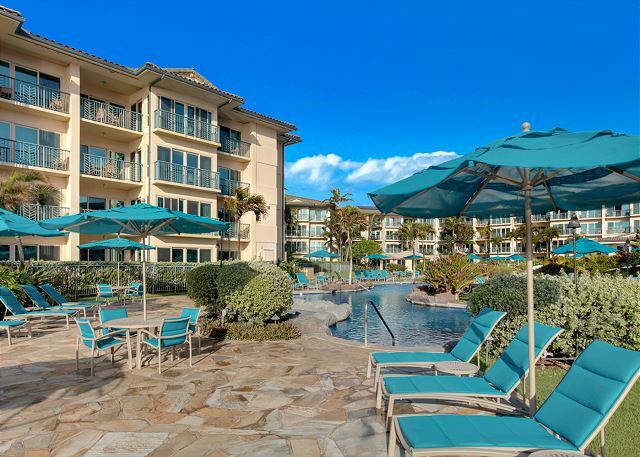 We were extremely pleased with this unit and its location at Waipouli Beach Resort. We had a gorgeous view of the beach and ocean. The unit was beautifully decorated, updated, and pleasantly private during our stay. Nous avons séjourné 5 nuits au A304 et je dois dire que j'ai été fort impressionnée par la qualité de l'appartement. En fait, je n'ai jamais résidé dans un condo d'une telle qualité. Le mobilier est tres beau, les deux salles de bains sont très grandes et chacune avec bain et ******. En ce qui concerne la cuisine, elle est bien équipée et on y fournit même les épices, les condiments et les sacs d'emballage. Et que dire de l'emplacement, juste devant la plage. La piscine est tres belle et les chaises confortables. La situation est idéale pour visiter l'île car on est a mi-chemin pour aller au sud ou au nord. Plusieurs marchés d'alimentation et pharmacies se trouvent à deux pas du resort. je vous conseille le restaurant qui se trouve sur le site, vraiment une bonne cuisine. We spent 10 days in this wonderful room at the Waipouli Beach Resort. The view from our balcony was spectacular; we could even watch the whales while enjoying our morning coffee. The layout of the room was perfect for our family of 4 (two adults, two teenagers) with the addition of a airbed. The airbed was not in the room on the night we arrived but the management company promptly rectified that the next morning with a the bed and brand-new sheets! Having the Safeway immediately across the street was extremely handy. The pool area is lovely and we never had any trouble finding chairs for sitting. Loved the hot tubs with their sand bottom! We really appreciated the extra amenities in the unit like the boogie boards, cooler, chairs and umbrella. 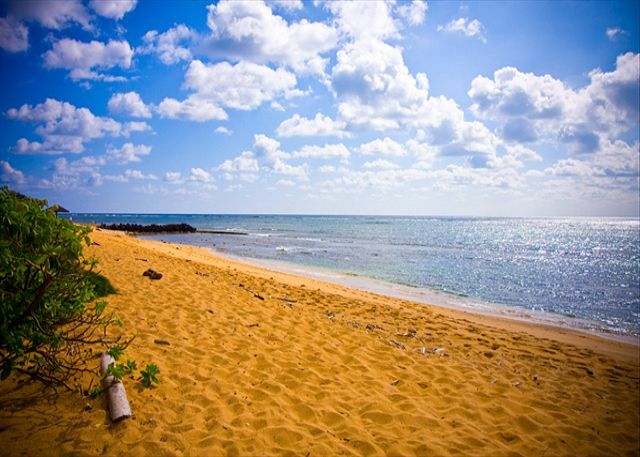 There is a fantastic beach for boogie boarding just a short 10 minute drive from the resort. We ate at the Oasis Restaurant one site a couple of evenings and the food was delicious - the Mai Tais were pretty good too! Overall, we had a wonderful stay in this resort and would happily go back again. We had a wonderful stay in A304. The condo was clean, comfortable and in a very convenient location to shopping, the bike path for running, the beach and the pool. Coco Maria, the concierge assigned to us, was a star. She helped us plan every activity and restaurant meal. She was always available, gracious and provided us with vast local knowledge so that we didn't waste any of our vacation time doing things or eating at places that weren't suited to our family. I cannot recommend Coco Maria more. From start to finish this was an amazing property that suited the needs and fulfilled the dreams of our family. The management did a great job in the cleanliness and safety of the resort. We could not be happier with the room, the water features and the setting on the beach and on the island. This is the 5th year consecutive we have stayed at the Unit #A304. Is it an awesome unit and has beautiful unobstructed view of the ocean. It is great to watch the sun come up each morning from the lanai.....or the bed! We definitely will be staying there again!! 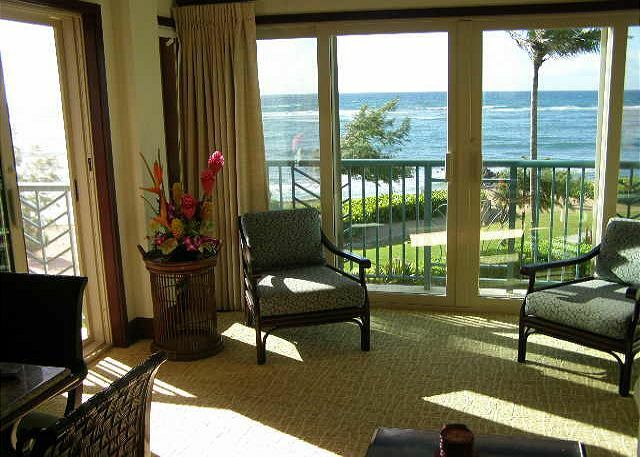 This unit has ALL the comforts of home plus the view AND the wonderful sound of the ocean! Some of the best pictures of the island were right from our balcony! Very comfortable. We will definitely try to come stay here again soon! The Oasis restaurant at the resort was wonderful with delicious food and terrific staff. 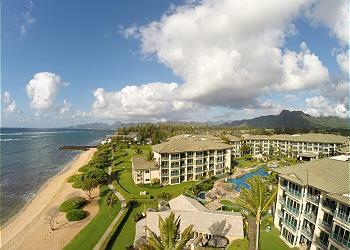 This resort is most convenient to Kauai's sights as well as necessities and restaurants. We very much enjoyed our stay at Waipouli A304. We found the resort to be excellent overall, and the condo was great. It was clean and all the fixtures were indeed high end. 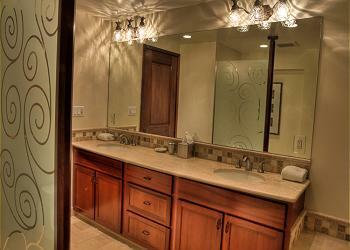 The bathrooms were very large and master bath has ocean view from shower (how cool is that!). The kitchen had everything you'll need to cook, including a good spice collection and some basics. There was coffee provided. Cooler, chairs, and umbrella, extra laundry soap, etc were all provided. Well appointed! One suggestion - the chairs in living area, though nice looking, were not very comfortable. Overall I would say that in general we are pretty picky and we had a great time - will be back and will be booking the same unit if possible. Absolutely stunning ocean views!!! Lazy river and whirlpool tubs were great - nice pool area - my all time favorite so far! Fantastic experience! Can't wait to go back! The resort itself is beautifully kept. The grounds are pretty, the pool area is a lot of fun, and we enjoyed being able to cookout on the grills (although there's no guarantee one will be immediately available.) Parking was perfectly adequate and convenient to the quick elevators. Truly, though, the star was the sound of the surf crashing on the beach just yards below our lanai. We love Kauai, and any trip there is special. But staying in Waipouli A304 took things up a notch and made our trip nothing short of magical. Our 4th trip to Kauai (2nd at Waipouli Beach Resort)...and we finally found the best! Does it GET any better than this? Seriously? Sleeping to soothing ocean waves; waking to spectacular sunrises; whales greeting us in the morning; coming home to breath taking sunsets. Perfect location...central to everything. Condo was comfortable and immaculate. Services provided by the Kauai Exclusive Management team were...without exception...stellar from the get go. The aloha spirit is truly strong here. We took it home with us. We had a wonderful vacation! We loved our condo and the view was marvelous! There was 4 of us, and we had to move things around to find space to sit at the table inside to eat or play games, There were only 3 dining chairs, no bar stools. We mostly sat on the deck. Everything else was perfect! This was our 4th stay at Waipouli Beach Resort - Unit A304. We are in the process of booking our 5th stay. It is a beautiful place, with awesome views and very well maintained. Close and easy to get to all the things you want and need, from groceries to nice restaurants. This place was amazing! Very clean, modern, full amenities. This is the place to rent. We will definitely be staying in this unit again. The resort is awesome with the convenience of the Oasis Restaurant and Bar - excellent food and drinks! We even had visiting Monk seals on our beach for a few days. Great place and very helpful property management company! We had a great time at Waipouli Resort. It's wonderful for kids. The pool is so much fun with waterslides and waterfalls to explore. 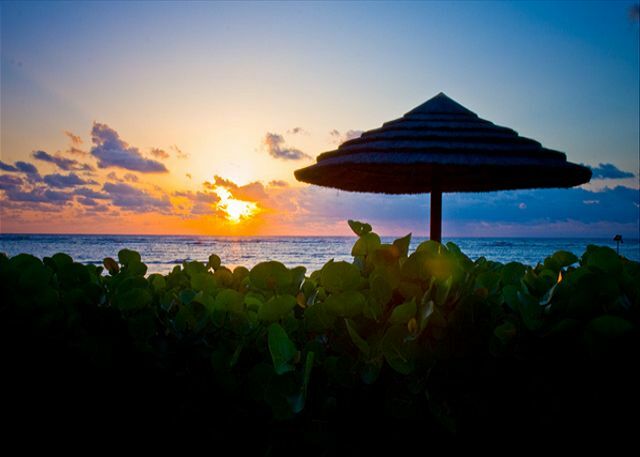 The location of the resort is convenient with close access to the south and north parts of the island. The room was comfortable and clean. There was supposed to be a pull-out couch in our room but the owner had replaced the couch before we arrived. 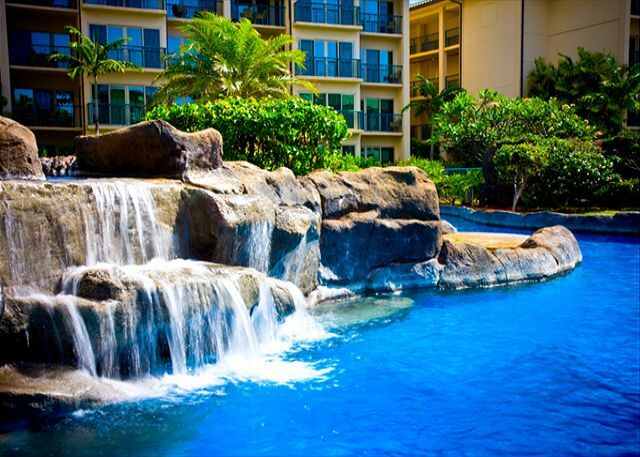 The people at Kauai Exclusive immediately brought us stow-away beds that were comfortable and met our needs. We would definitely go back. Quiet, convenient, central location in Kauai. 12 minutes to airport if you have had a long flight! Management team attentive and knowledgeable. Complex is 5 Star. We look forward to our next stay. We stay at Waipouli every November since they opened and are never disappointed. My kids have up grown here. 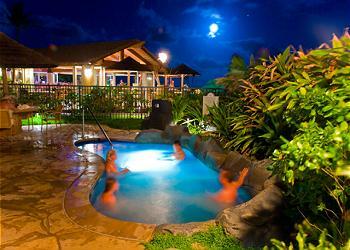 There is no better accommodation on Kauai for families. Kids are now 7 and 10 and we just returned from another wonderful coupe of weeks at Waipouli. 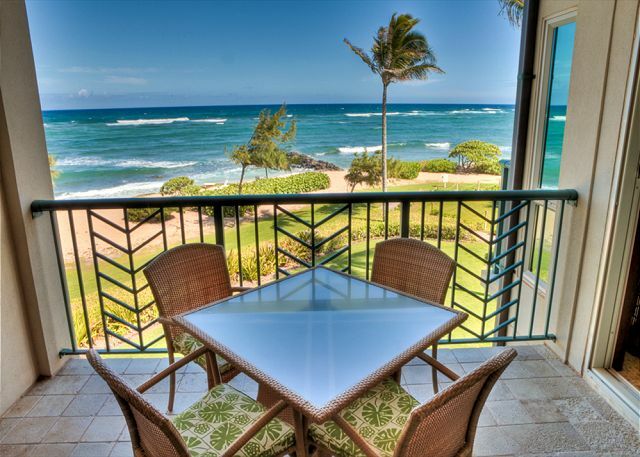 Centrally located for all activities including the beautiful northern shore of Hanalei. This was our second time to stay at this property, and we were just as happy this time as we were last year. We have been to Hawaii several times and this is by far the best property we have seen or stayed at . Can not rate it high enough. The property is immaculate and meets the needs of very young families as well as the retired. The regular staff as well as the spa staff are extremely helpful and friendly. The location is absolutely perfect. You are away from the crowded beaches of poipo and away from the daily rain one receives in the prince ills area . Also driving to other areas and activities is very easy because of the central location. Good shopping, restaurants and activities are close by. Everything one could desire in a fantasy vacation can be found in this paradise. the bedroom lamp on the nightstand in the bedroom with the safe didn't work. We were absolutely pleased with our choice for our honeymoon!! We loved the condo we picked, as it was absolutely gorgeous!! The location was convenient with all of the stores around the complex, and the location on the island being able to travel north and south in almost equidistant time! We have recommended this to our friends and would come back to stay here again! This was our first visit to Kauai and we loved it! The island is truly the prettiest! 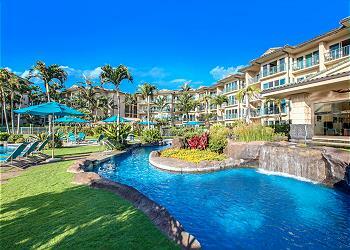 Our stay in Waipouli was just great, the condo was clean and well maintained. The view from the balcony was just beautiful. The property is centrally located. We had a rental vehicle and we were just a short drive to great restaurants and shopping. Most of our time was spent in Poipu, because that is where all the shopping and restaurants are. We also took a snorkel cruise up the Napali Coast with Captain Andy's and really enjoyed it. The word during our 10 day trip was AMAZING! We have stayed at the Waipouli Resort before and loved it, and the same goes for this trip!! The condo was absolutely wonderful- perfect beach view, clean, good size- a great escape from reality! My favorite thing was to hear the crash of the waves every night while falling asleep. 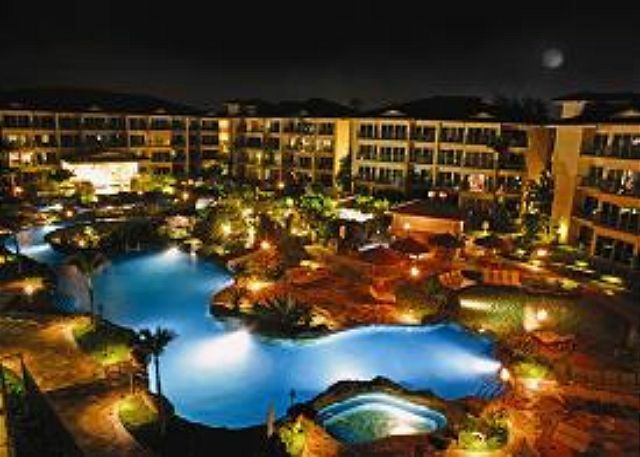 The resort itself is amazing with all of its ammenties and prime location. We will definitely go back in heartbeat! Thank you for an AMAZING vacation! Do the views get any better? Beautiful oceanfront view plus very nice furnishings added up to a very comfortable stay. We were given a code to the door so we didn't have to deal with the resort management. It was perfect. We went right to our room. Loved that! On the last day we had a redeye flight so we were allowed to stay the whole day at the resort! Outstanding!!! This wouldn't have been allowed at a lot of other places. Tiny details... internet access was spotty and slow and the mattress was a bit soft. 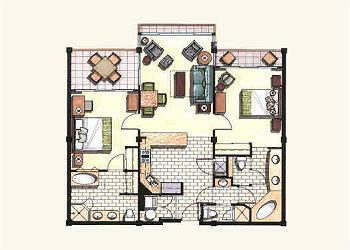 This is a two bedroom, 3 bathroom unit. As we were only one couple, there was plenty of room. Other positives; 6 towel allowance at the pool; iPhone speaker for music; Nice tv's; close proximity to the bike path; (we rented bikes at a bike shop next door); half hour drive to North Shore, airport. Close proximity to hikes, kayaking. Beach at the property is rough. Not a swimming beach. Need to drive to a snorkel beach or calmer beach if you have kids. Not crowded. Nice pool. 3 hot tubs. Just a great weekend. Thank you! My husband, daughter and I stayed in A304 for a week and it was the perfect vacation. We relaxed by the pool, in the ocean and started and ended our days on the balcony overlooking the beach. It was one of the best vacations we've had. Thank you! My husband and I celebrated our ten year wedding anniversary here. There were incredible views of the ocean from every room in this condo. It was nice to have a restaurant onsite if you did not feel like driving and a grocery store within walking distance. The resort was terrific for families with the pool, water slides and the lazy river. 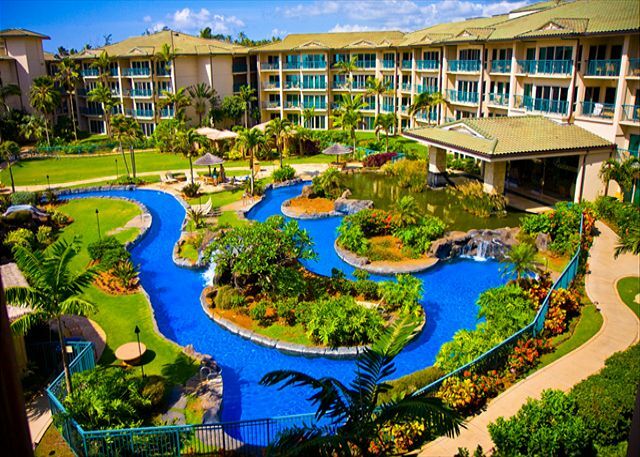 We will definitely return to this condo and resort when we visit Kauai again! Not having been to Kauai we were looking forward to the ultimate experience. I can honestly say that we knew this was going to be the case the minute we walked into our condo. Renting a condo for the first time we weren't quite sure what to expect, but all of our expectations were exceeded. Working with Josh at Kauai Exclusive Management was a pleasure and they delivered everything promised. We would welcome somebody from Kauai Exclusive Management to contact us as we are planning a return visit in April, and thinking about staying at Waipouli again. From the moment we walked into our room we knew our trip was going to be wonderful. It is very obvious the Home Owners love their home as it was "perfect" in every way. We will definitely back and will never stay any other place in Kauai. Have stayed at several units in this resort since it opened in 2006. We love the ocean front units. The only disappoitnment ocntinues to be the on site restaurant - The Oasis. Poor service, poor selection and poor quality. They also do not open until lunch time and donot have poolside service. Missing a great opportunity here. We spent a week in Kauai and searched long and hard for accommodation that would satisfy both an active couple and my older parents for a reunion week. 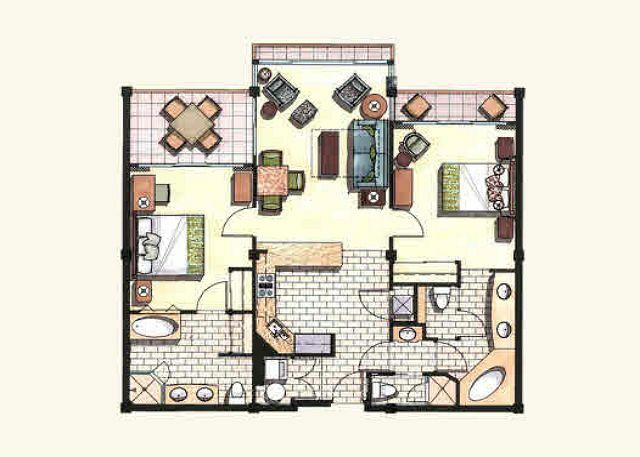 The condo was spotless, beautifully furnished and offered plenty of space for two couples. Each bedroom felt like a master with roomy private bathrooms, comfortable mattresses and luxury bedding. The location was convenient and central to visit other areas for beaches or shopping. My parents felt that they could vacation here without a car as grocery stores, pharmacy and other essentials were directly across the road. For more active guests, a car is important. The condo is in a central location to visit the south or north shores but is not directly positioned in a key beach, restaurant or shopping area. This was the perfect balance for us - it allowed us to escape the areas that were more tourist oriented but was positioned well to reach key attractions on the island. We were able to cook in the condo and enjoy family-time some nights, and quickly drive to restaurants for great meals on others. 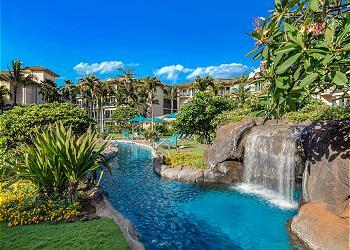 My wife and I come to Hawaii as often as we can, so we have stayed in many places this is absolutely the best. Fantastic view, well maintained, the management people responded to our request for an early check in. One minor glitch which was taken care of within 15 minutes of calling them. I cannot say enough about how friendly and helpful they were. I hate to rate it this high because it may not be available the next time we want to come. This property was everything I expected and more! Beautiful ocean front unit and fell asleep listening to the ocean. Never have used a rental property before and it was a great experience and will do again in the future. All of our needs were met and Josh was a pleasure to deal with. Look forward to using a rental property again on our next vacation. Stayed in A304 the second week in september. Fantastic rental in a great location. The condo was very well equipped for cooking and had plenty of linens. Excellent location and beautiful ocean view from all rooms. Grocery store across the street made shopping quick and easy. Pool is amazing. Highly recommend this condo! What a great place to spend a week! The location wss great - we were able to walk to dinner or walk and get a Starbucks to start our day. The view was spectacular. Josh was so helpful. Would stay here again in an instant!!! I'm still amazed at where we spent our week in Kauai. It far exceeded our expectations in every way. From the minute we opened the double doors in all 3 rooms and heard the roar of the ocean we were in love. Leaving was heartbreaking, but we have no doubt we'll be returning to this beautiful place every year. Everything was 1st class, from the location, to the furnishings, to the huge comfortable beds, great Internet service, nice TVs, great bathrooms and kitchen—just a beautiful week in paradise. The minute we pulled up to the Waipouli Beach Resort, we were impressed with it's cleanliness and beauty-and were never disappointed. Josh was very attentive to our needs, and helped to make our trip unforgettable. Our unit, A304, had the most spectacular and relaxing view. The unit was immaculately clean and decorated. The kitchen was top-of-the-line. The bed was SOOO comfortable! I was actually surprised at how amazing the food was at the Oasis on the Beach restaurant too...and they have live music on Wednesday nights. The crispy fried potatoes w/ truffle hollandaise were to die for, prices were very reasonable, & the service was excellent, thanks to Henry, our server. On previous trips to Kauai we had stayed in Princeville, but this location in Kapaa was exceptional, being so close to the heart of shopping and grocery stores. It was really nice to be able to walk to so many helped to work off some of that great food! I recommend Waipouli Beach to anyone who wants to experience the best! 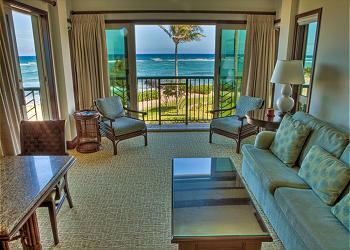 Our 1 week rental at A304 of Waipouli Resort far exceeded our expectations. Unit was spotless, well equipped, comfy beds, and roomy. The view was spectacular. Never needed A/C the huge lanai doors let in the breeze and soothing sounds of the waves. Resort itself was beautiful, esp the pool. A bit noisy near pool with carts always being pushed from kitchen to the restaurant on the beach, kitchen was noisy with music. Location was perfect for touring whole island. We hated to leave. Sun, sand, relaxation, and a million dollar view! Our 10 days at Waipouli A304 in May 2012 were outstanding. I consider myself to be very picky, and for the most part found this unit to be nearly perfect. Pros - LOCATION (half way between the North and South worked nicely for us) This was a beautiful ocean view unit which was great, however I would never recommend staying with anything but a view of the ocean or pool - as the other side is a grocery store complex with a busy roadway. You do not hear that at all from A304. You are also very close to the pool & beach. AMENITIES - Literally everything we needed was there, from utensils/plates to coffee filters and laundry detergent. We bought food and unpacked...that's it! Extremely convenient! High end furniture and appliances were nice and having Air Conditioning was excellent. (not easy to find in Kauai) I will not be rushing back to resort life after this experience, we ate breakfast and lunch in the condo and ate out for dinner..saving a lot of money. As well, Kauai Exclusive (Josh in particular) was great to deal with, and very accomodating. Cons: The Energy Saver on the air conditioning system was a bit temperamental (but still great to have), and the low flow shower heads were not my favorite - but all make sense given the price of energy in Kauai. Overall, an incredible stay and I would not hesitate to recommend this unit/resort to anyone I know traveling to the area. If this condo doesn't meet your standards, you are one lucky person who must be living in the lap of utter luxury the other 51 weeks of the year. 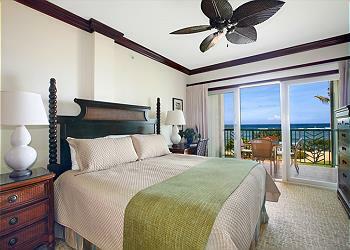 Beautifully appointed, ultra clean, and a fantastic oceanfront experience. I recommend the unit without a single negative comment. This unit was the closest to the ocean and the beds were very comfortable. The resort is centrally located and there is a grocery and Starbucks right across the street! We wish we could have stayed longer. This was our second trip to the resort and to Unit #A304. It is a beautiful unit with one of the best unobstructed east veiws of the ocean that you find anywhere. The resort is kept in immaculate condition and the management is very professional and helpfull when needed. shower heads just don't do the job well. Otherwise everything gets an A&#43;. It was great ! Looking forward to the new fitness center . Was Great from start to finish. Thank you for making it a wonderful time with my family and seeing Hawaii. 5 stars for the management company. Josh was professional and. Very accommodating. Would highly recommend using them again for any stay. I have three words for this place Ahh maze zing! A304 met every expectation. Wonderful service from owners and management company. Great view. Great room. Pool and hot tubs were fantastic. Grounds were well maintained by very friendly staff. Perfect location to explore the entire island. our condo was exceptional, more than what we expected.Beautiful location on the beach and Josh was very helpful with any questions we had .Would recommend to all my friends. Excellent accomodation, definately would stay there again, truely loved Kauai and the area. The condo was very clean, top of the line appliances, and the most amazing ocean view. We have already have recommened this property our friends and family. Great location, beautiful grounds awesome condos. Large and roomie, with everything provided that someone would need during their stay. Wish the resteraunt was open for lunch all days. 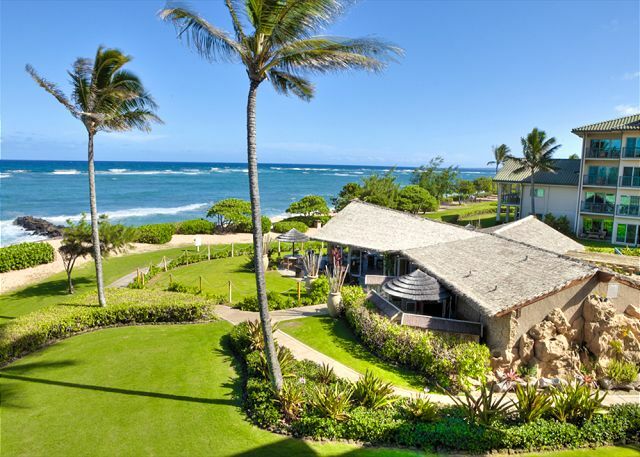 Waipouli Beach Resort is an incredible value! 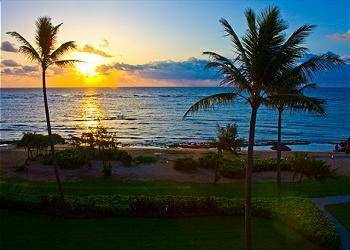 The sunrise, trade wind, pool, bike path, old Kapaa town, luxury suite and friendly staff made for a perfect trip to Kauai! Kauai is truely one of the worlds most beautiful islands! Josh was great, we'd love to return, and send our friends!